Eric is a Certified Management Consultant graduated in Computer Science from University of British Columbia in Canada, and has acquired vast practical management experiences and extensive business networks in Hong Kong, China, Finland, USA and Canada. Eric’s broad industry experiences covering information technologies, manufacturing, servicing and telecommunications. 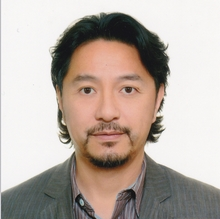 He has 25+ years of working experiences in managerial and business development; and held several senior management positions including China Head of Information Communications Technologies Industry of Finland Trade Center, Business Development Director of a Hong Kong Stock Exchange listed manufacturer, Founder of an internet company in China and Founder of mobile gaming businesses in Hong Kong, etc. With Finpro, Eric led a team of experienced team of consultants in Hong Kong, Beijing, Shanghai and Guangzhou, to assist Finnish companies in their internationalization and penetration into the China market. He also gave speeches and presentations in various events locally and in Finland, and acted as alternate to represent Finland in local European Trade Commissioners’ meeting. In addition, Eric worked closely and co-operated with various public agencies, associations and science parks in Finland including Finnish Funding Agency for Innovation (Tekes), FinNode, Otaniemi Marketing, Invest in Finland, Greater Helsinki Promotion (GHP), DIGILE, Neogames Finland Association, The Federation of Finnish Technology Industries (Teknologiateollisuus), Ministry of Employment and the Economy (TEM), Turku Business Park, and many others similar agencies in Hong Kong and China including Cyberport, HKSTP, SIP, and many others.